Why stormwater management is the unsung hero of urban infrastructure. Most of the time, stormwater systems handle rainwater without much fuss. You don’t notice until they either fail or become overwhelmed. This failure can be catastrophic and costly – flooding property, closing businesses, and disrupting lives. So far this year, we’ve had stormwater flooding all over New Zealand, including the Coromandel, South Canterbury, Greymouth, parts of Auckland, and South Dunedin. 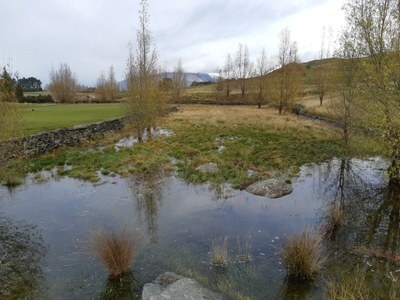 Last month, I attended the Water NZ Stormwater conference in Queenstown. Experts spoke on a range of topics: hazards analysis, understanding the effects of climate change on some of our most important infrastructure like Auckland Airport, water quality, and water-sensitive urban design (that is, using natural soil and plant processes to manage stormwater – for example, constructed wetlands). The conference also explored the importance and methods of managing stormwater effectively. Without effective practice, more homes would be flooded, vital infrastructure would be more vulnerable, and more lives disrupted. It is much more than just pipes and pump stations. It’s the streams and wetlands, and the gutters and swales beside the roads – and the roads you drive on and your local park, as part of the “overland flow paths”. All of it works together to divert the water away from your home. However, stormwater is the poor cousin compared to wastewater and water supply infrastructure. An interesting piece of analysis, done in 2016, found that the exception to this is after significant flooding events, and often only for a limited period. Increasing urbanisation and infill building covers the ground with impermeable surfaces – lowering the ability of the land to soak up rainwater meaning more rainfall needs to be drained away. Stormwater and wastewater systems are particularly vulnerable to climate change as the discharge points of these systems are often at the lowest elevation of populated areas. Even small changes in rainfall extremes, including intensity and duration, can overwhelm the design capacity of these systems. In low-lying areas where groundwater is linked to the sea, sea level rise will affect the performance of stormwater systems and wastewater systems where infiltration occurs. Stormwater infrastructure can have a lifespan of more than 80 years. Planning for future demand now is much cheaper than reinstalling or rebuilding new infrastructure later because it doesn’t have enough capacity. management of their stormwater system to deliver the levels of service, now and for the future. You can read all our reporting about water on our website, including our report Introducing our work programme - Water management.